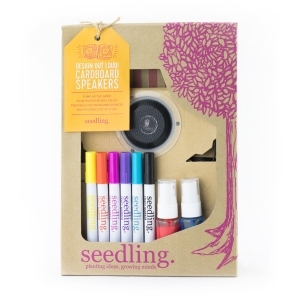 ALL NEW AT SEEDLING! Tune into your inner designer and turn up the fun! 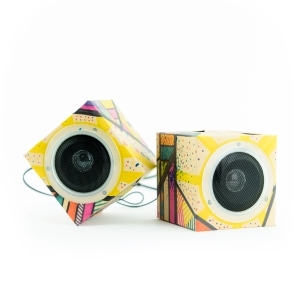 This easy to make DIY kit comes with foldable Kraft speakers, markers, paint, and more to create your own working mini boombox. Design and create, then plug your device into the microphone jack and cue up your favourite playlist. This kit is a chart-topper! 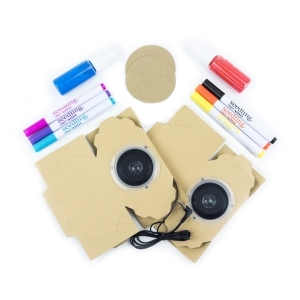 This Kit Includes: Kraft speakers, Kraft circles, Markers, Fabric spray paint, Instructions. Recommended for ages 8+ years.